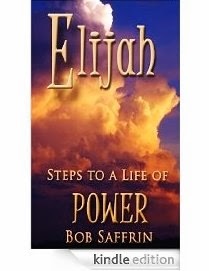 This book is a guide, tracking the life of the Old Testament prophet Elijah, to discover God’s plan for us, and learn how to receive his power to accomplish that plan. God has given you a purpose and a mission as well. God has a plan for every life. My hope for you as you read this book is that when you are done you will not be satisfied, but hungry, hungry to hear the infinite God of the universe speak to you as a lover speaks to his bride. I pray that you will finish, panting for more. I really love Bob's writing style, it flows nicely and word after word is full of encouragement and gentle nudging to simply have the faith to move forward in whatever it is God is calling you to do, even if you are afraid and feel completely unworthy.